Physical characteristics: The black bulbul is approximately 7.8 to 10 inches in length (20 to 25.4 centimeters). The bird can be slate gray to shimmering black in color, with a crest that is less than full, but fluffy, and has a forked tail. The black bulbul has bright red legs and feet. Variations among the species include some black bulbuls that have a white head. The birds that live in the western regions of the distribution have plumage that is grayer. Both sexes are similar. The juvenile bird lacks a crest or has one that is not as defined or pronounced, with a white-colored throat and plumage that is grayish brown. Geographic range: Black bulbuls are native throughout Madagascar (from which they have received their scientific name, madagascariensis), the islands of the Indian Ocean, and the mountainous areas of Pakistan, India, Bangladesh, Sri Lanka, India, southern China, Taiwan, Hainan, Myanmar, and Indochina. Habitat: Black bulbuls prefer tall forests with broad-leaf trees as well as the shade trees of plantations, and tend to live in the mountainous regions of tropical south Asia. Diet: The black bulbuls are omnivores that feed on seeds and insects. Behavior and reproduction: Black bulbuls are extremely social, often traveling in large, noisy flocks of several hundred; but they are also known to gather in small groups, also noisy and social. They have a variety of screeching noises, are swift in flight, and are one of the few species of bulbuls to migrate. Black bulbuls breed from March through September, and build their nest high in the trees, and sometimes in the brush. Each clutch has two to four eggs. Black bulbuls and people: Black bulbuls have no special significance to humans. Alsop, Fred J. III. Birds of North America. Smithsonian Books. London and New York: Dorling Kindersley Publishing, 2001. Bennun, Leon, and Peter Njoroge. Important Birds of Kenya. Bedfordshire, U.K.: Royal Society for the Protection of Birds, 1999. Lewis, Adrian, and Derek Pomeroy. A Bird Atlas of Kenya. Lisse, Netherlands: Swets and Zeitlinger, 1988. Simpson, Ken, and Nicolas Day. The Birds of Australia, A Book of Identification. Dover, NH: Tanager Books, 1984. Williams, John George, and Norman Arlott. The Collins Field Guide to the Birds of East Africa. Brattleboro, VT: Stephen Greene Press, 1992. Zimmerman, Dale A., Donald A. Turner, and David J. Pearson. Birds of Kenya and Northern Tanzania. Princeton, NJ: Princeton University Press, 1999. "Black Bulbul." Science Daily. http://www.sciencedaily.com (accessed on May 5, 2004). "Leaf-love." Science Daily. http://www.sciencedaily.com (accessed on May 5, 2004). "Pycnonotus barbatus." Kenya Birds. 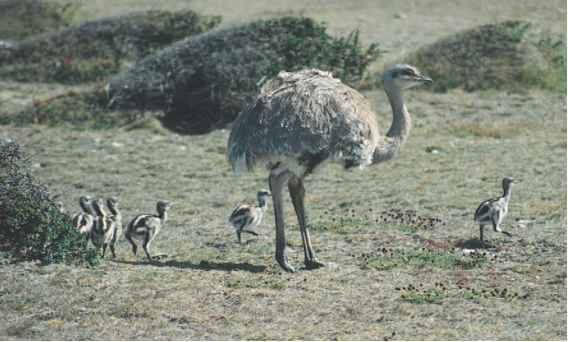 http://www.kenyabirds.org.uk (accessed on May 5, 2004).